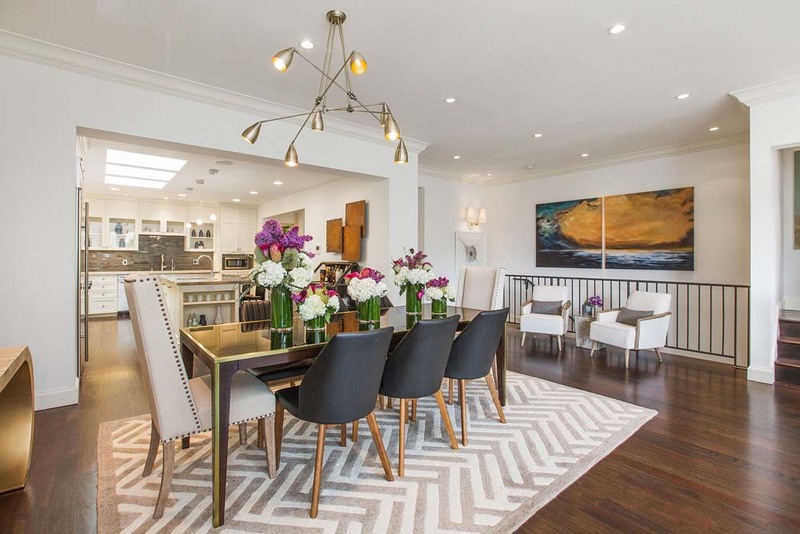 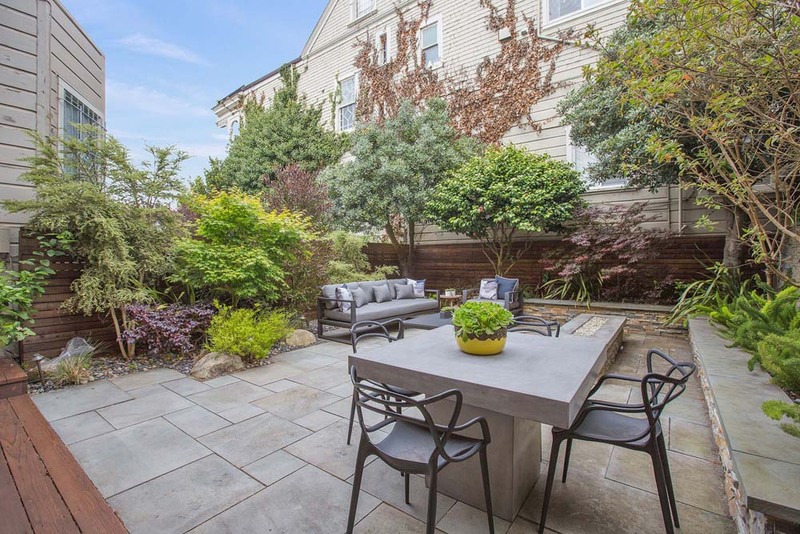 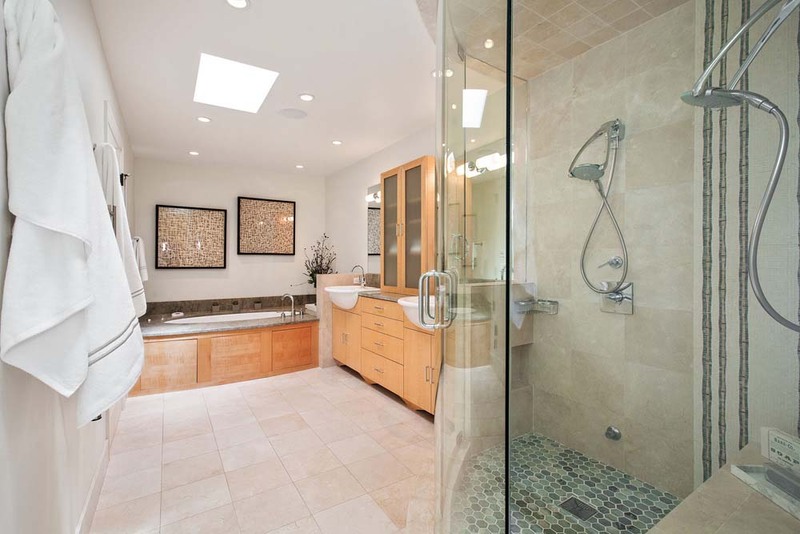 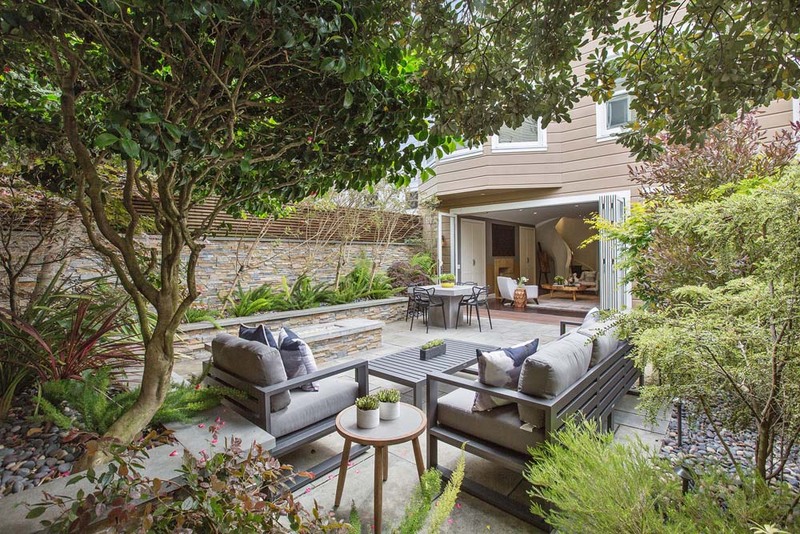 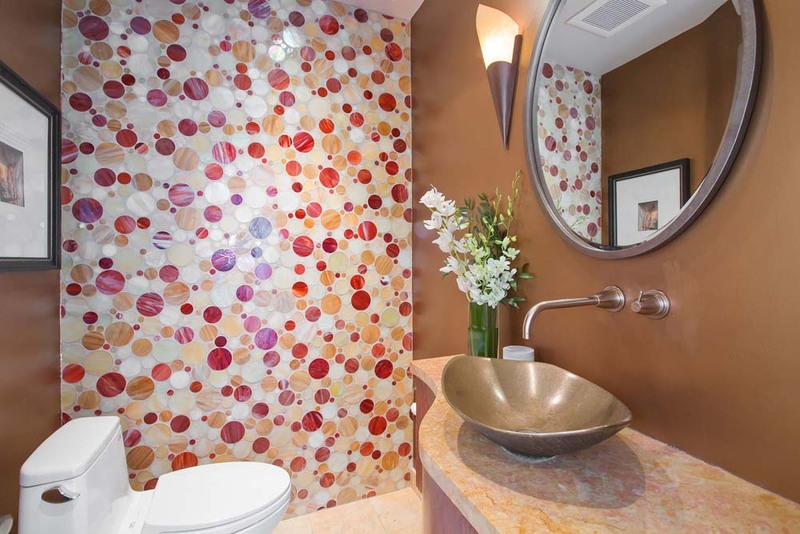 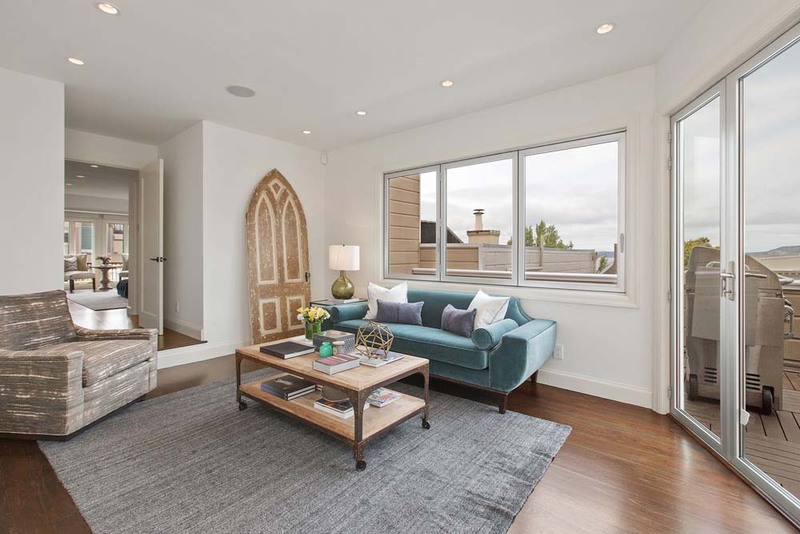 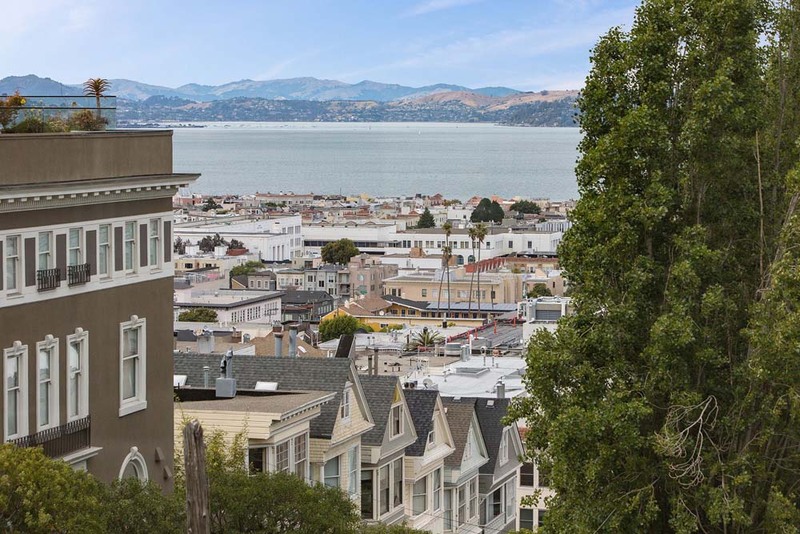 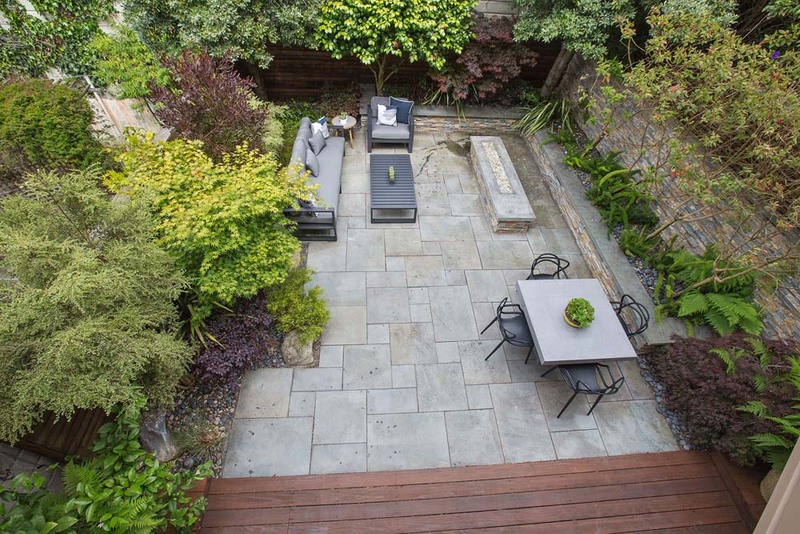 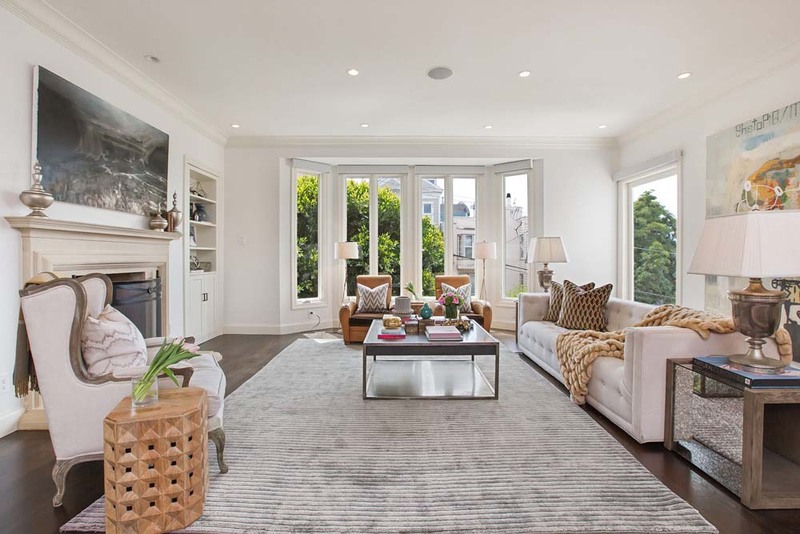 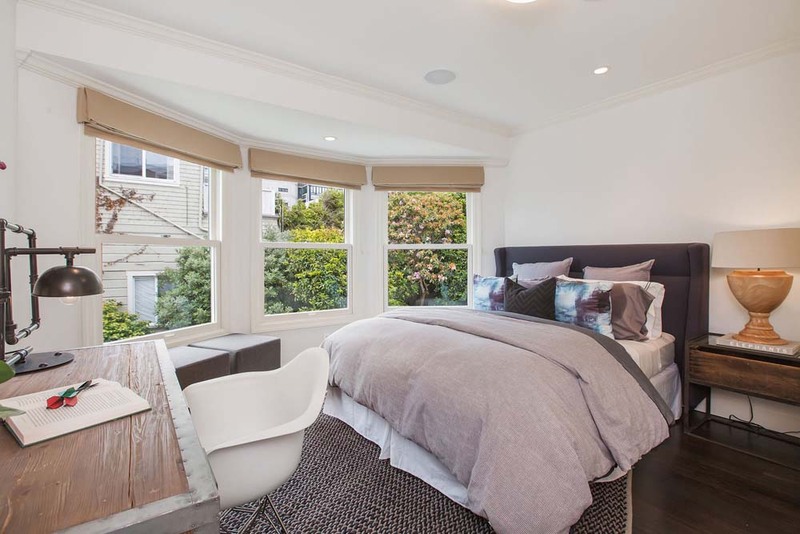 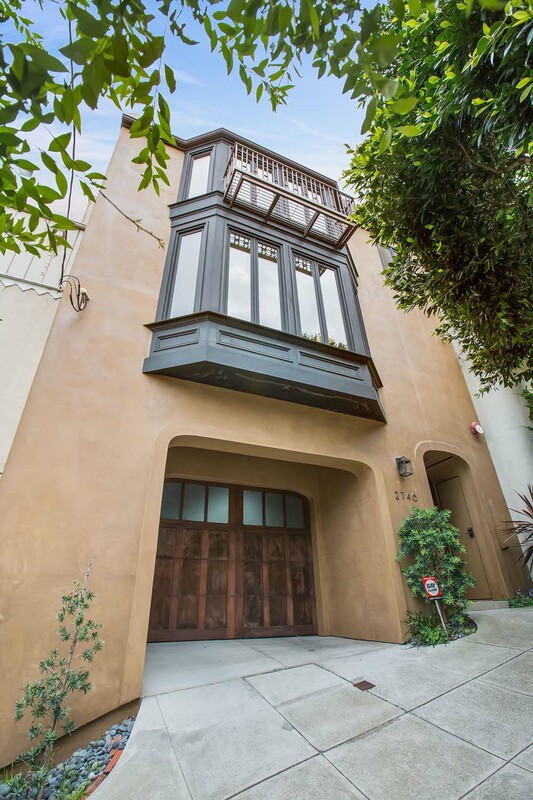 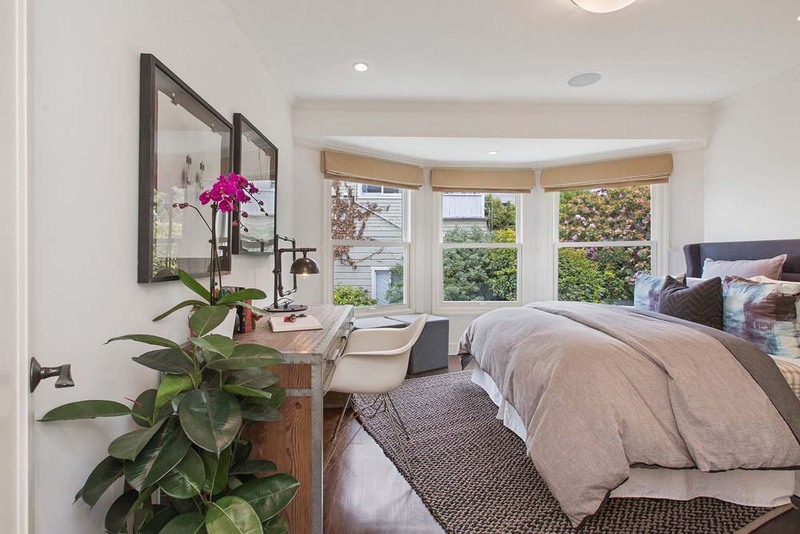 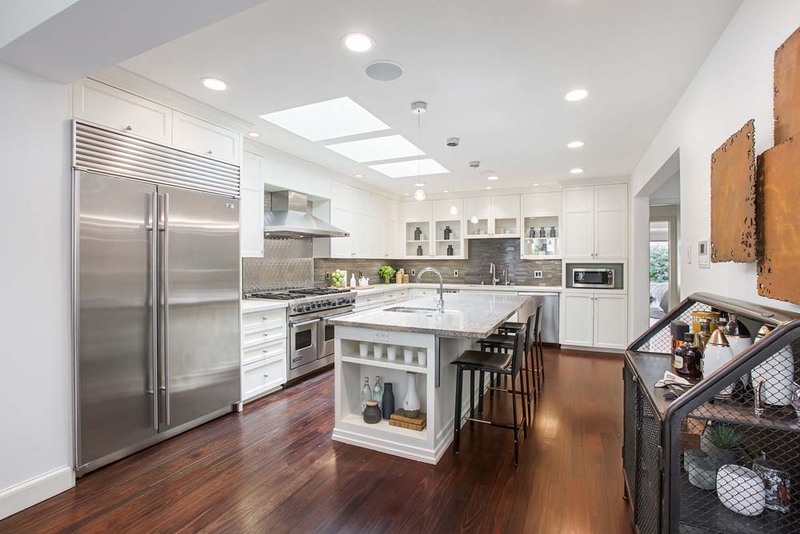 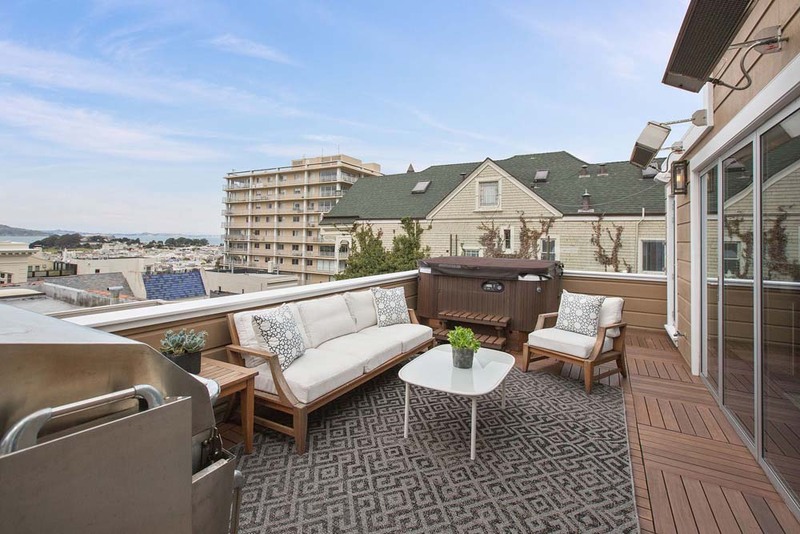 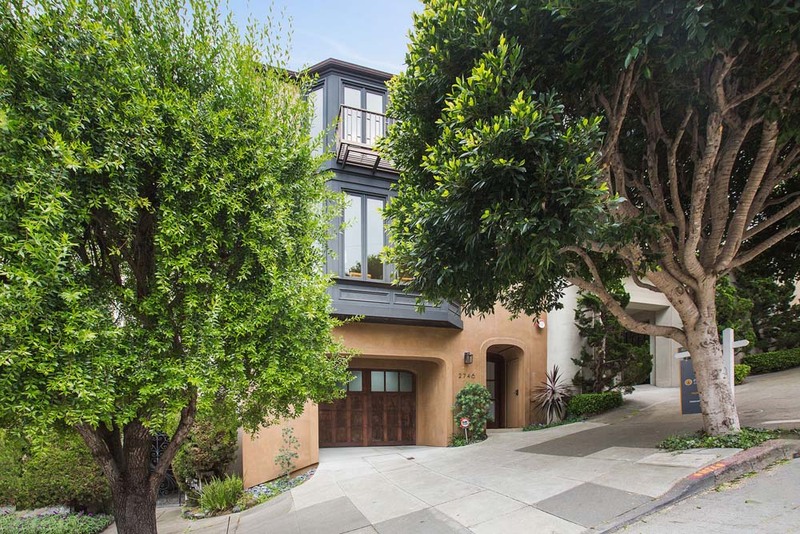 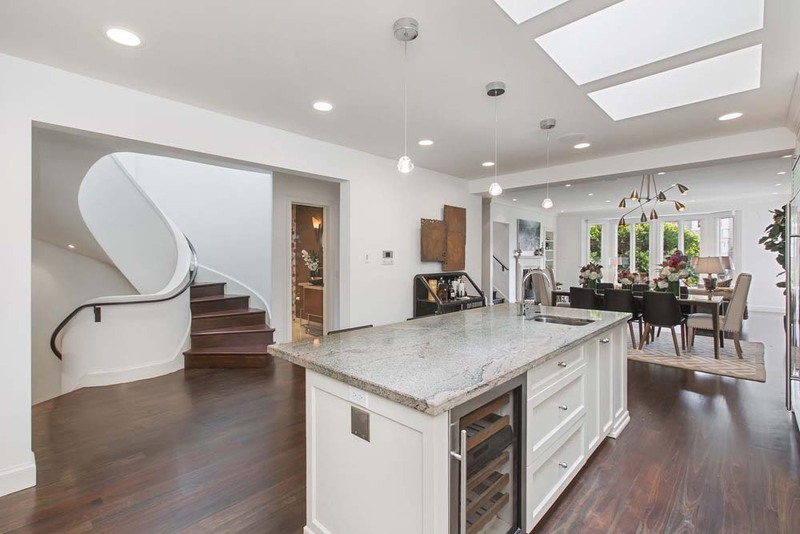 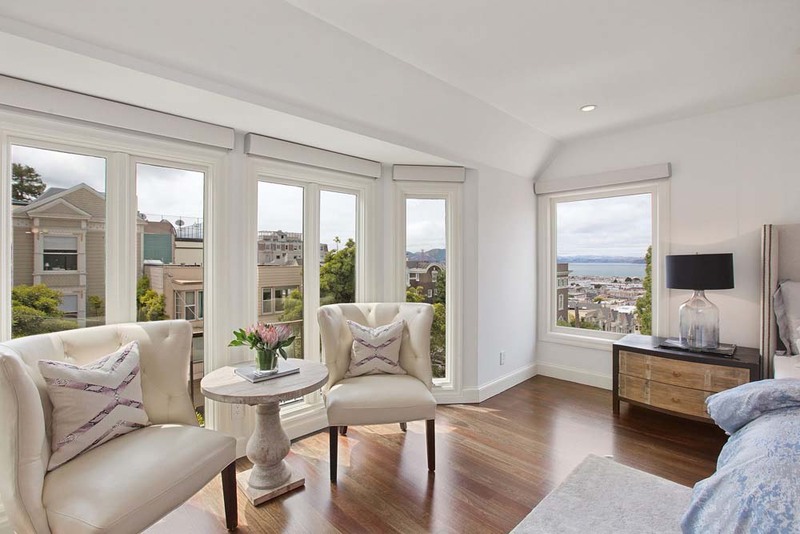 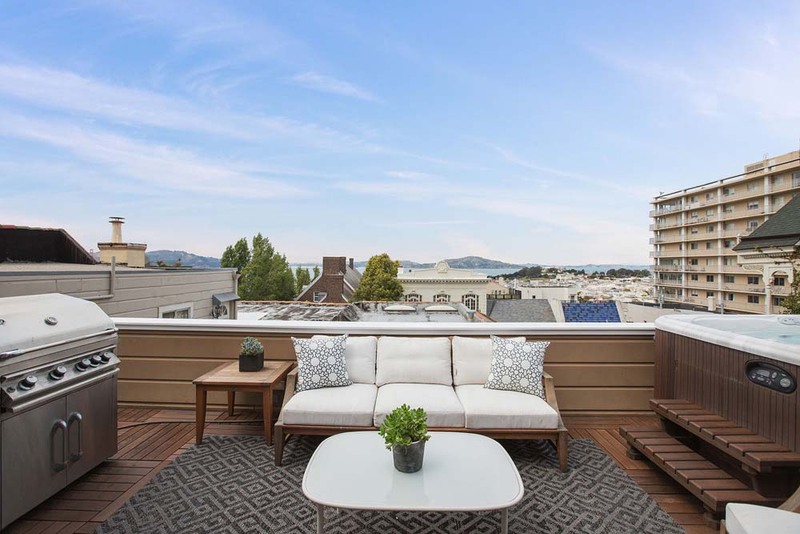 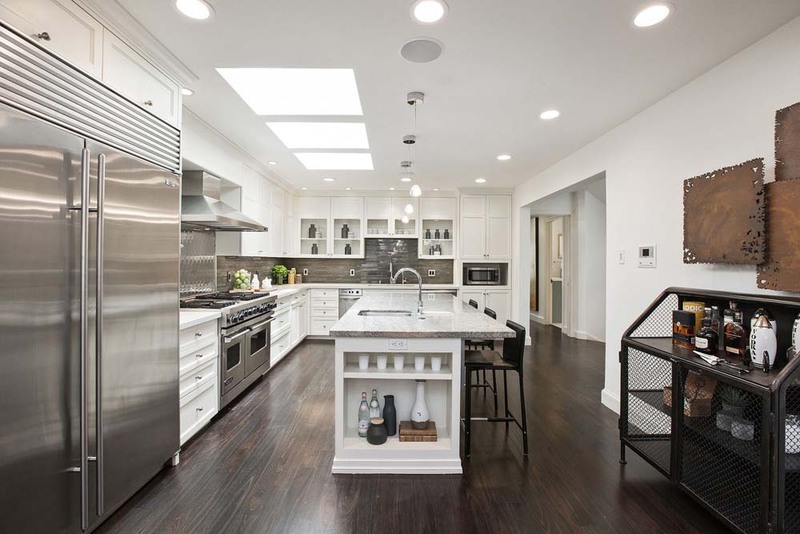 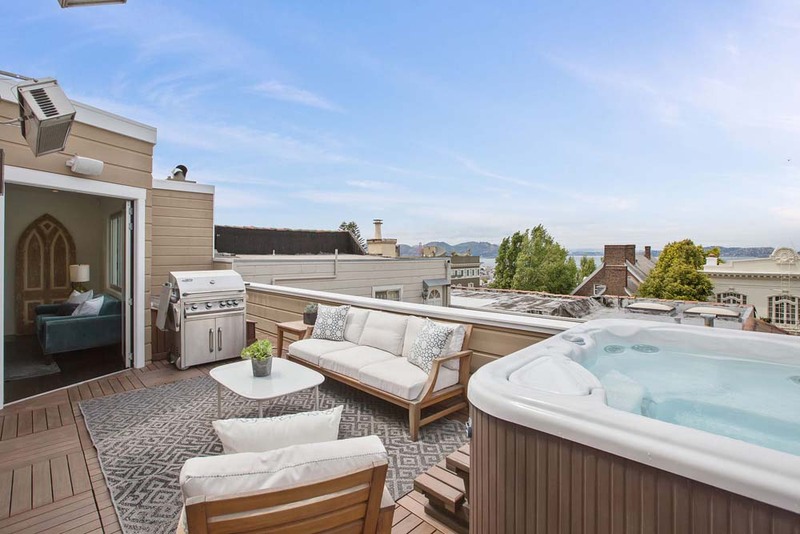 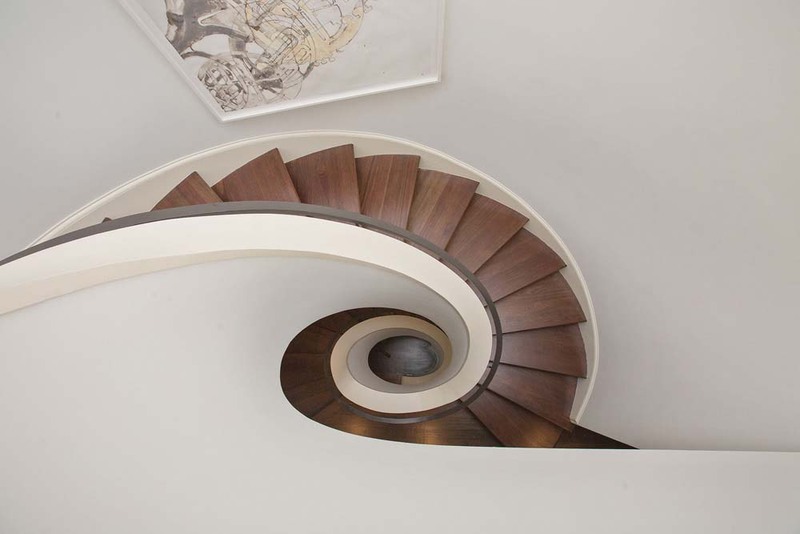 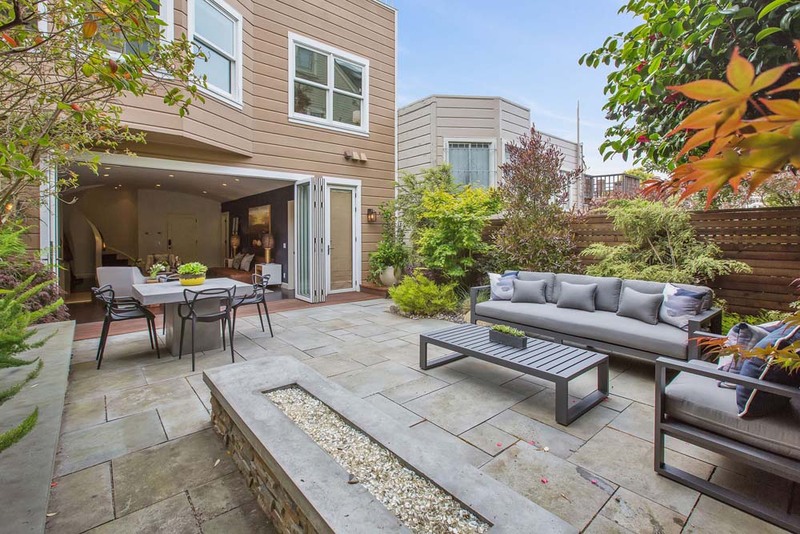 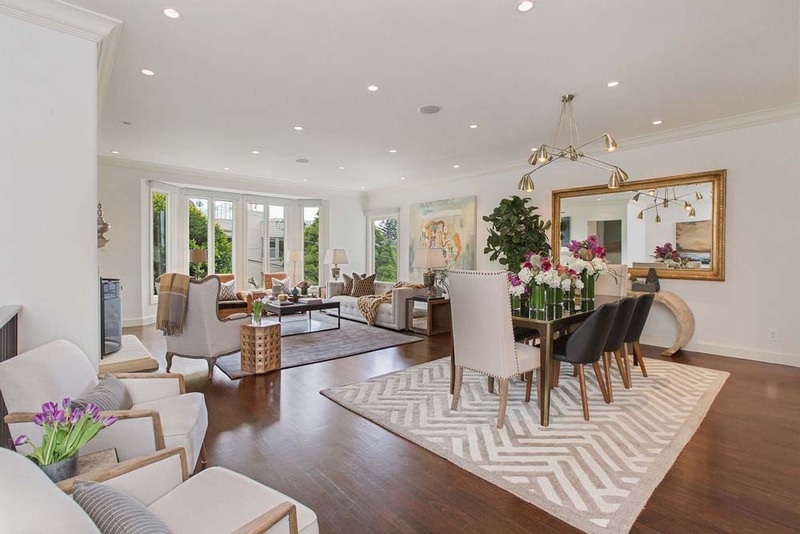 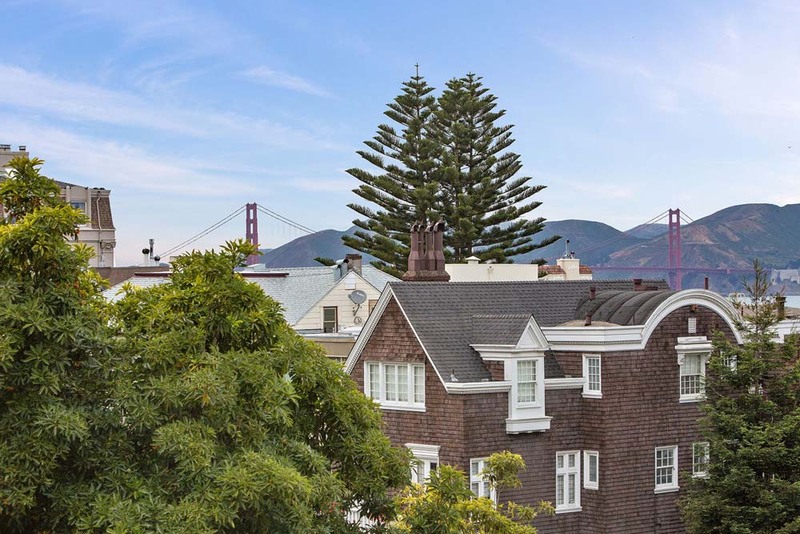 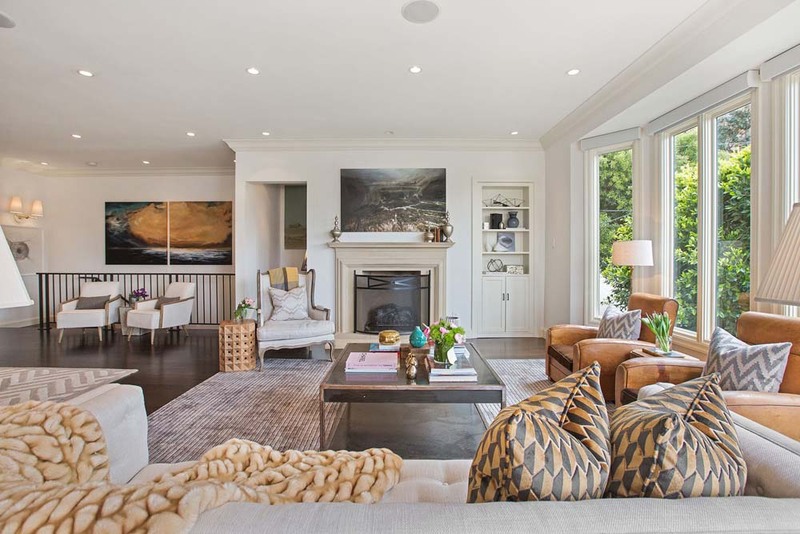 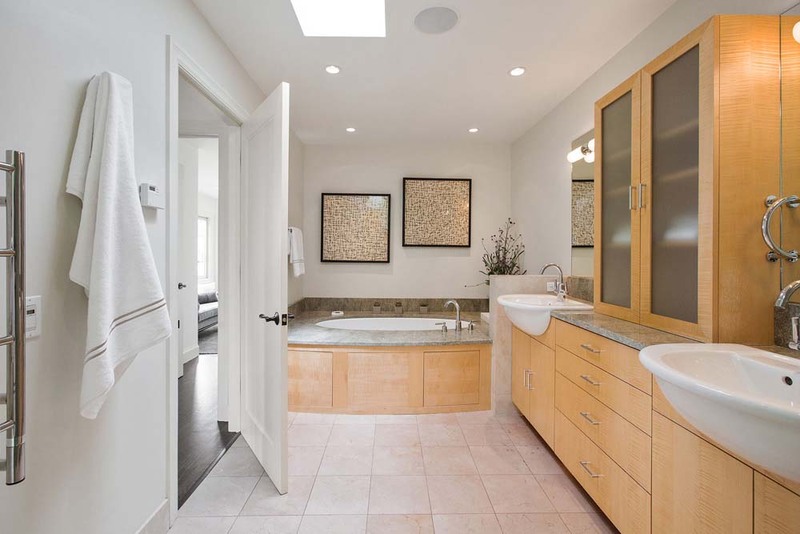 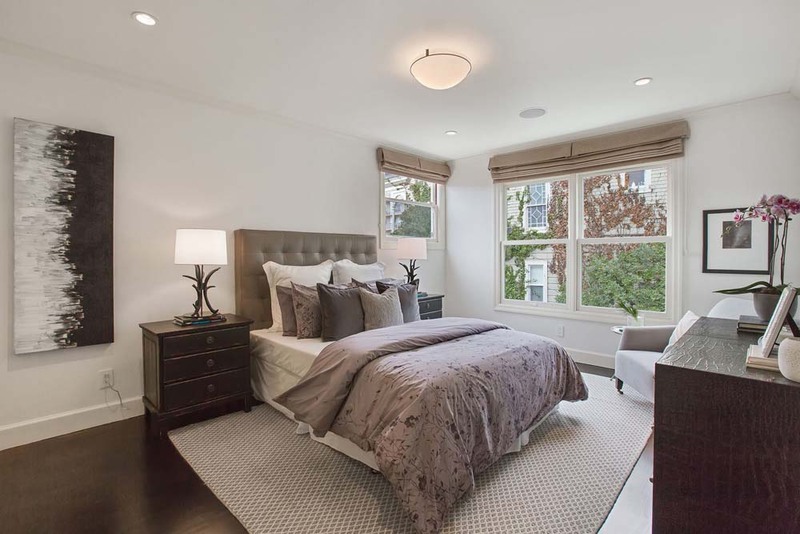 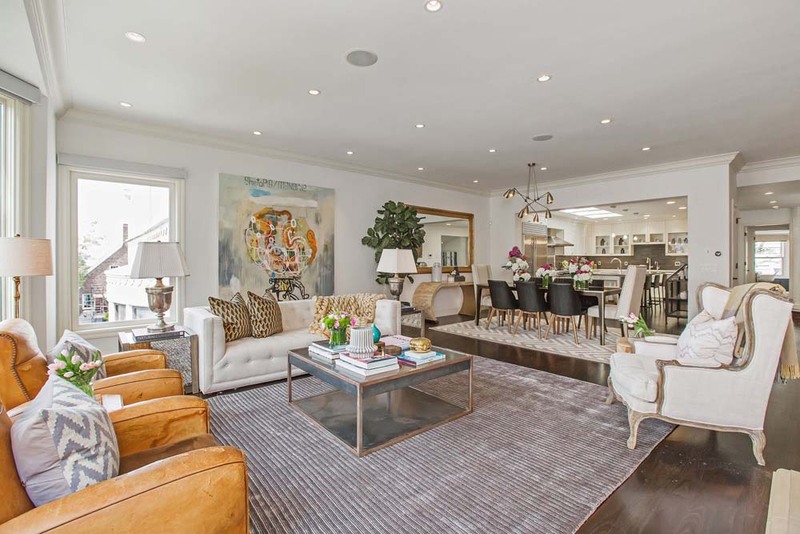 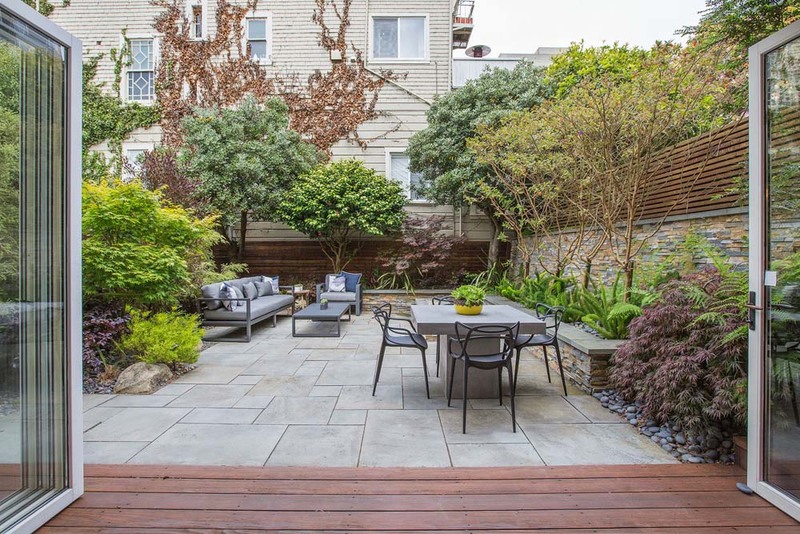 This exquisite Pacific Heights residence will appeal to the most discerning buyer. 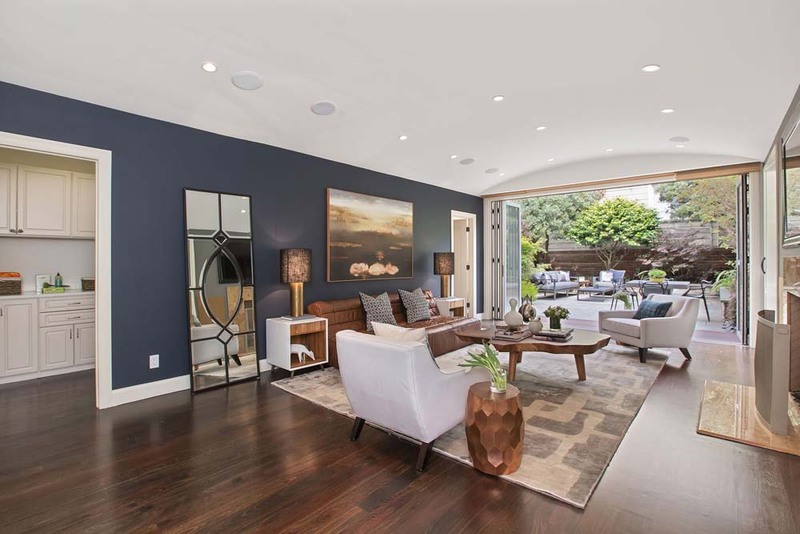 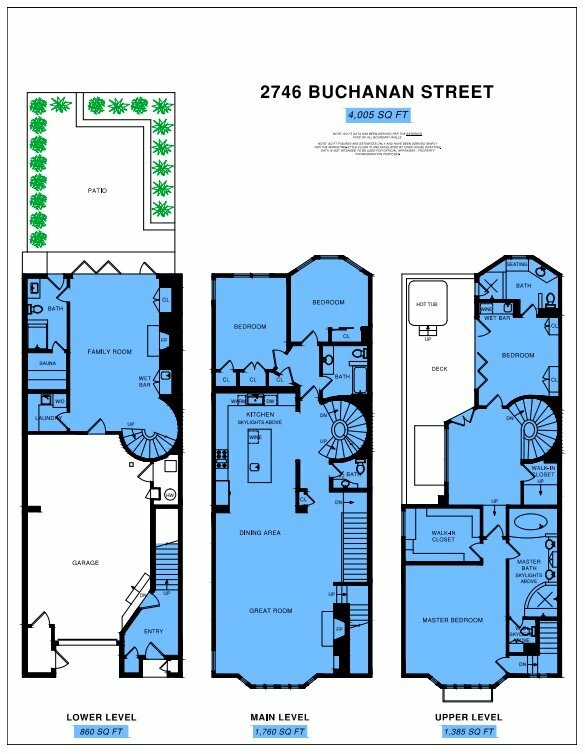 Open living-dining floor plan, Bay views, beautiful family room that opens onto an inviting yard and a 2+ car garage are just a few highlights. 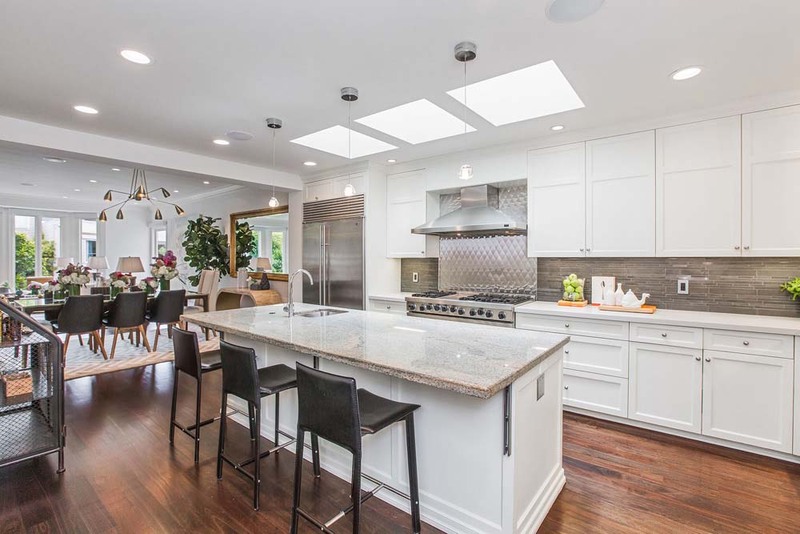 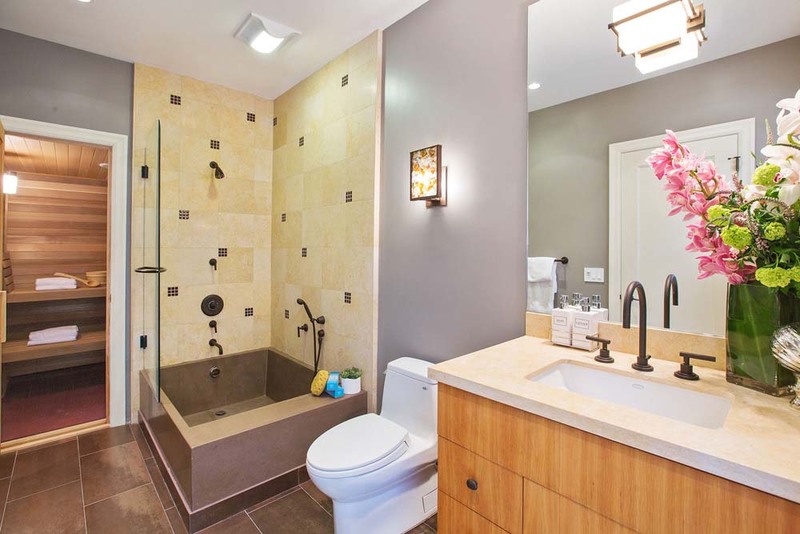 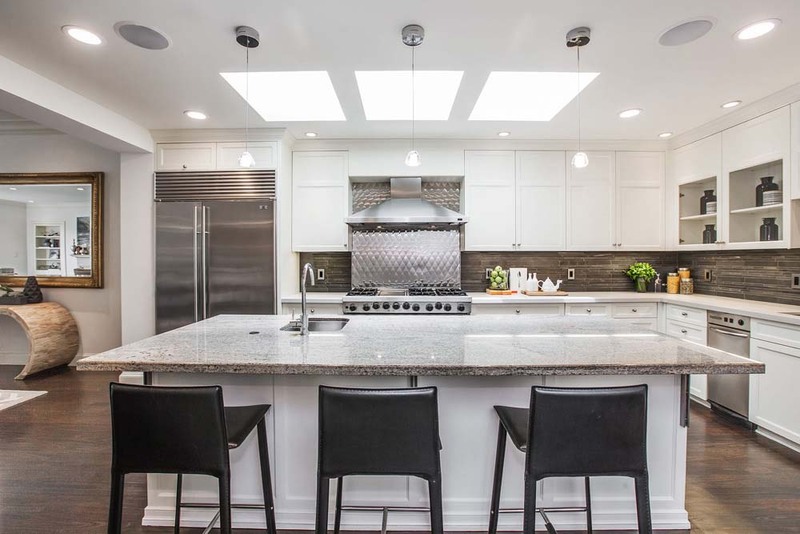 This home was extensively remodeled in 2008 and updated again in 2013 with a state of the art kitchen, Nest thermostats, Sonos multi-zone audio and designer paint. 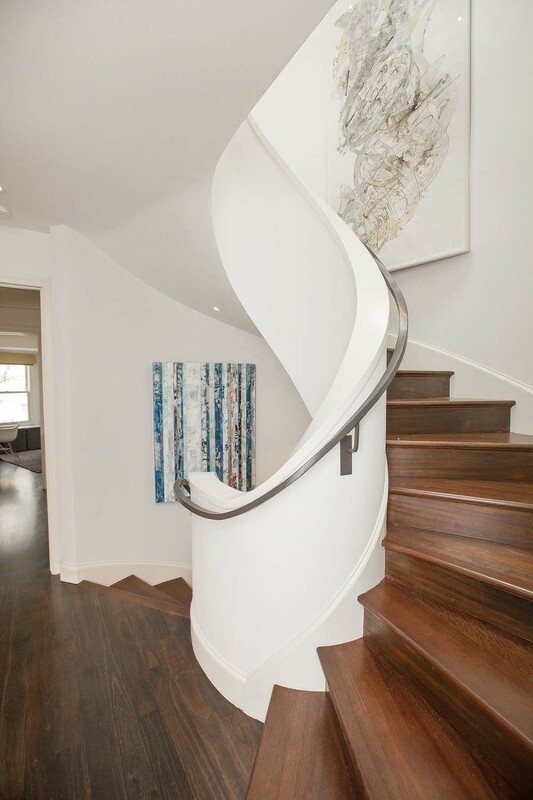 The formal entry is a gracious foyer with a beautiful staircase leading to the main level which is open, bright and spacious. 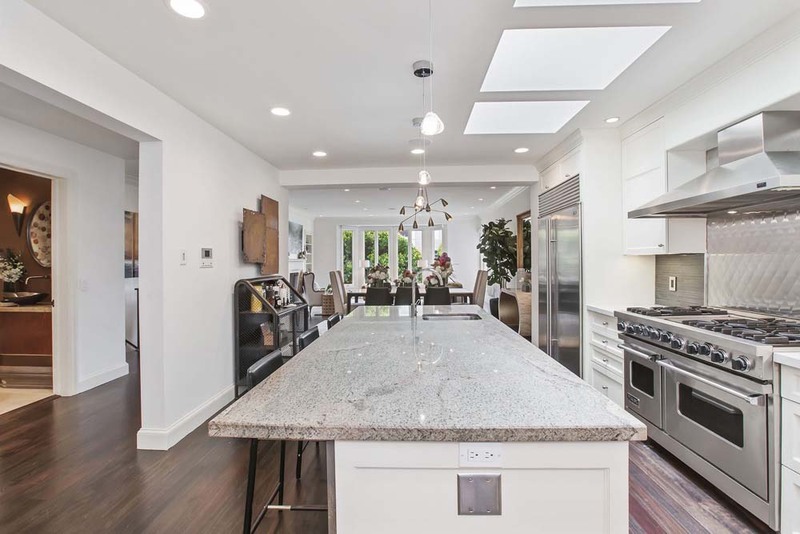 The kitchen is made for entertaining and suited for family time around the large island. 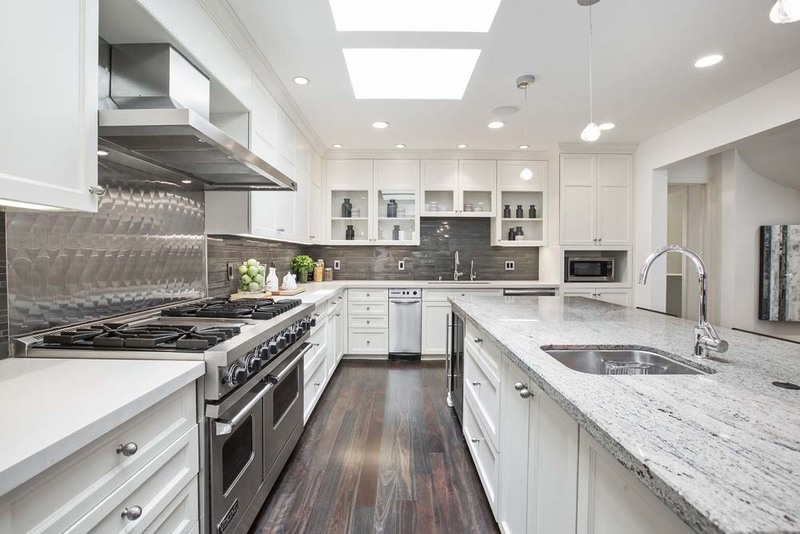 Classic, custom cabinets complement the modern backsplash and caesarstone countertops. 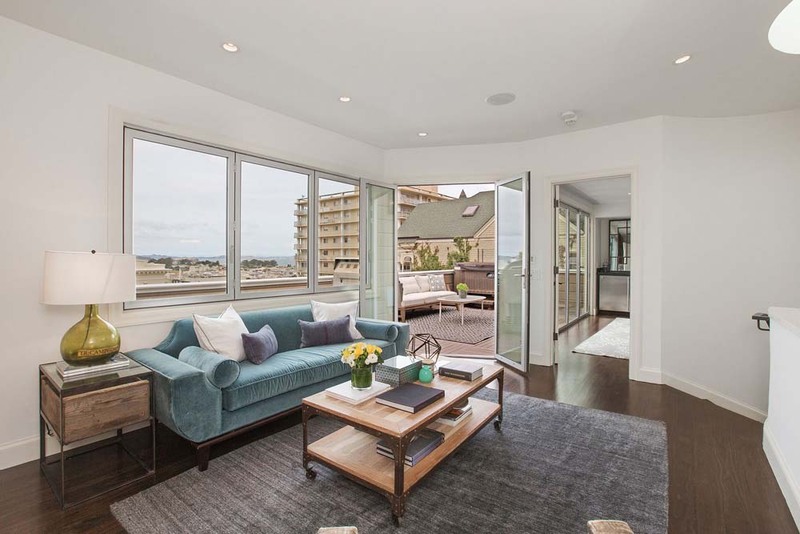 The open living room with a gorgeous fireplace and views of the Bay is framed by tall, architectural windows. 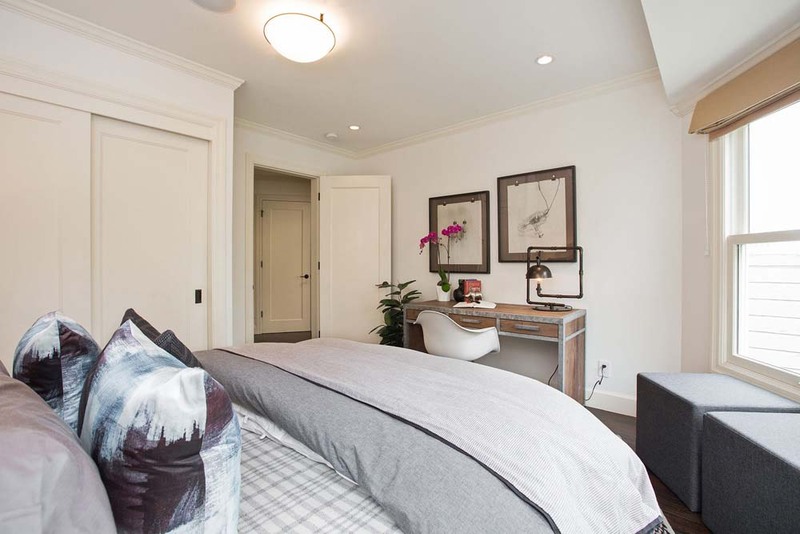 There are two full-sized bedrooms on this level that are part of a bedroom suite with its own foyer. 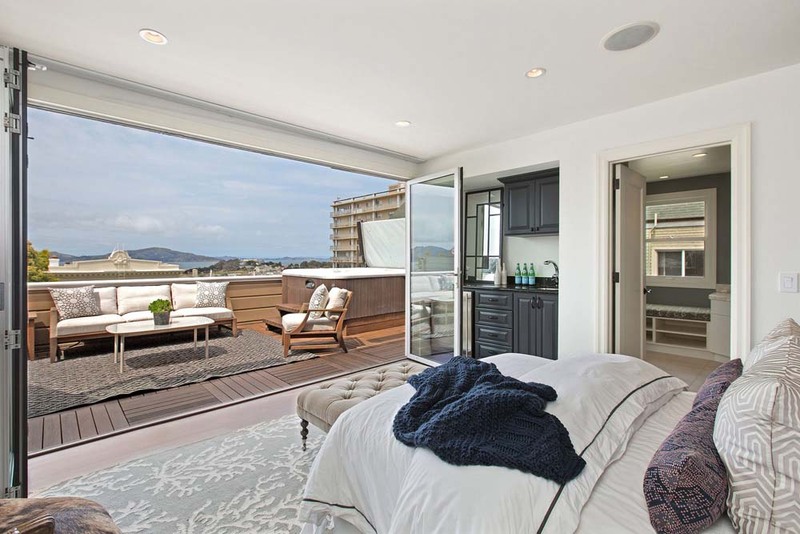 One of the bedrooms has a view of Alcatraz and both share a beautiful full bath. 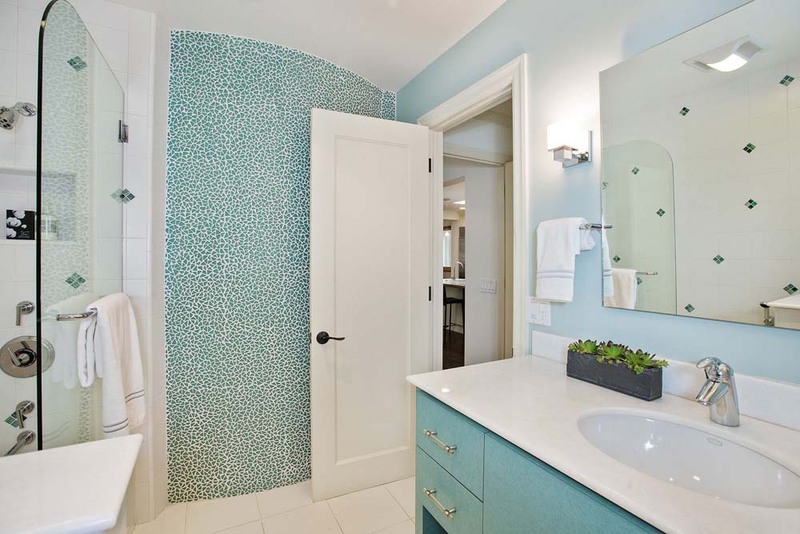 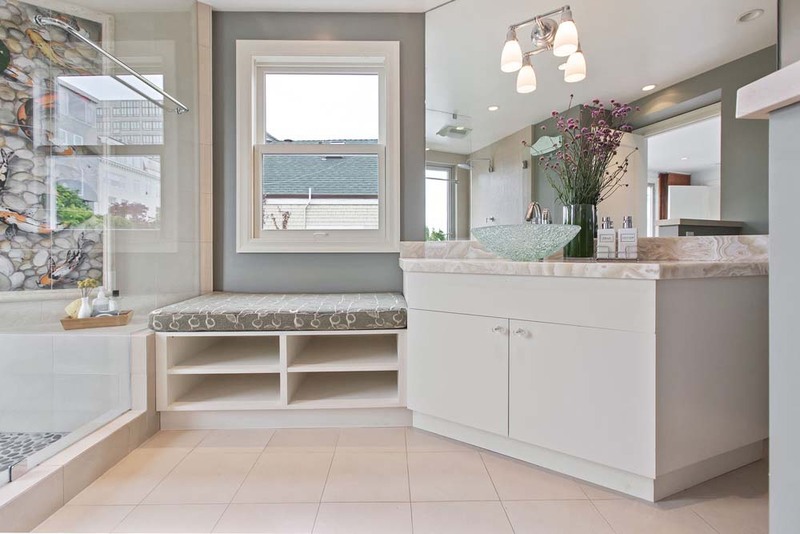 There is also a powder room. 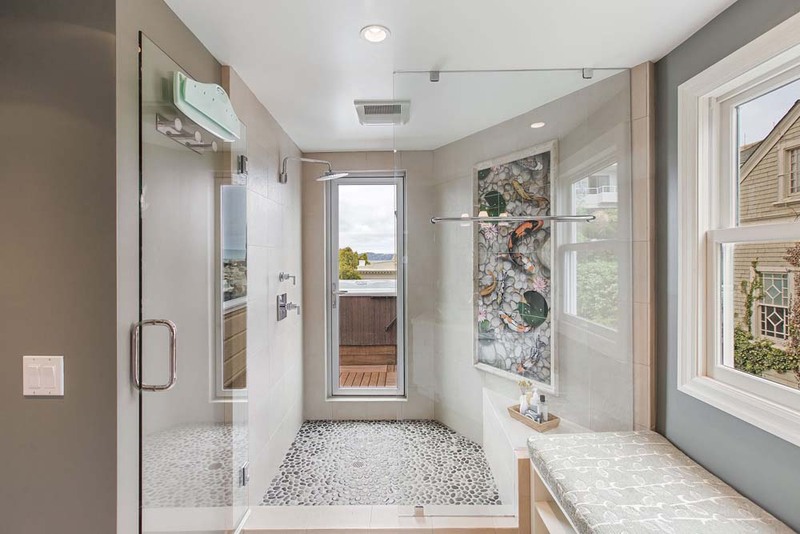 The upstairs level welcomes you with a breath-taking view, framed by floor-to ceiling windows and a large deck ideal for barbecues and includes an outdoor hot tub with direct access to the indoor shower. 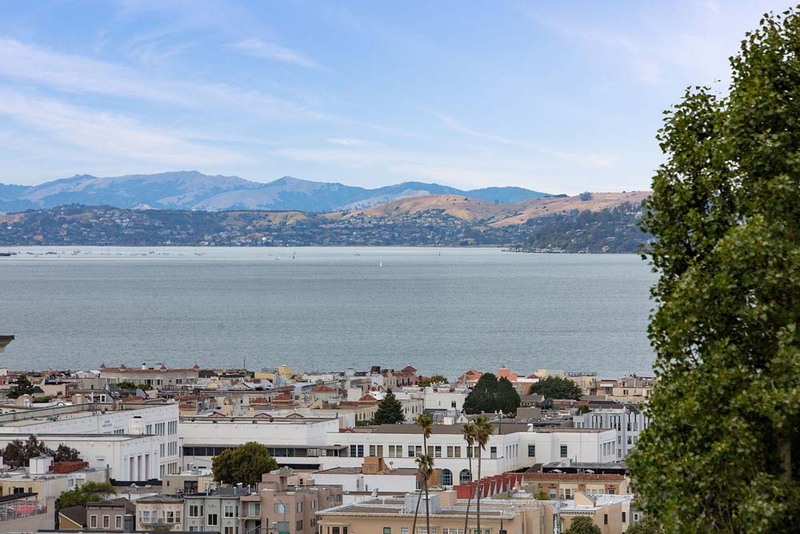 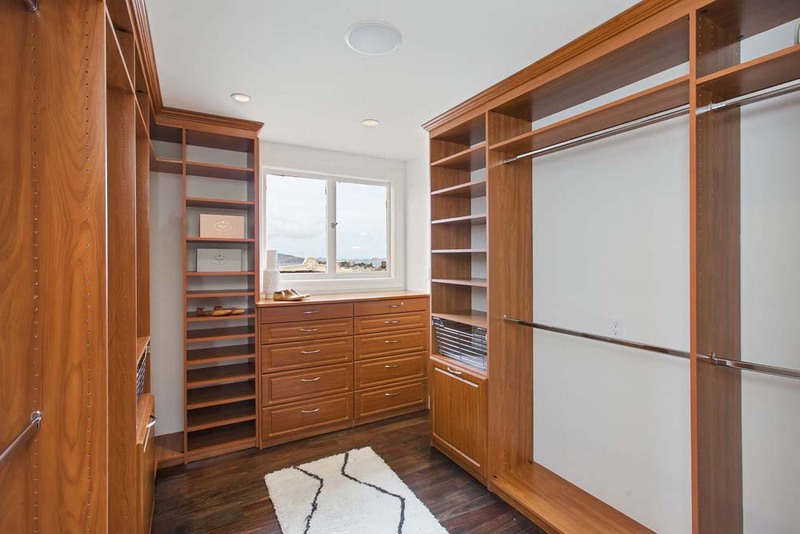 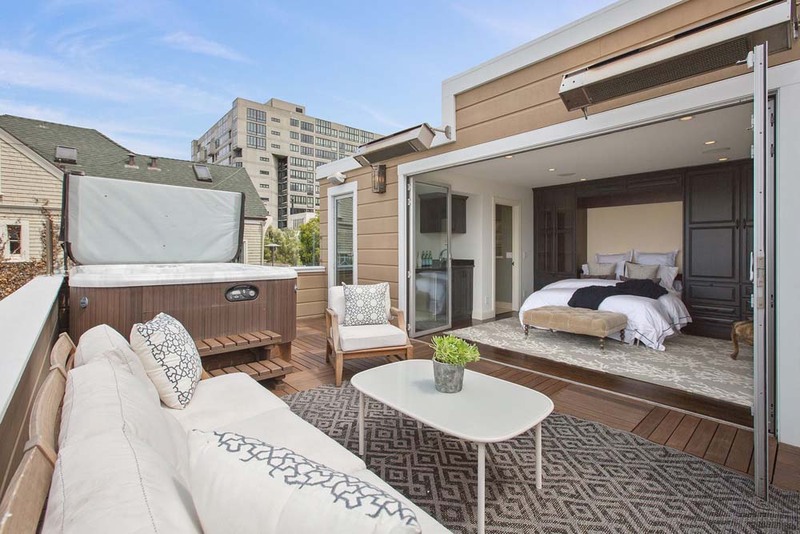 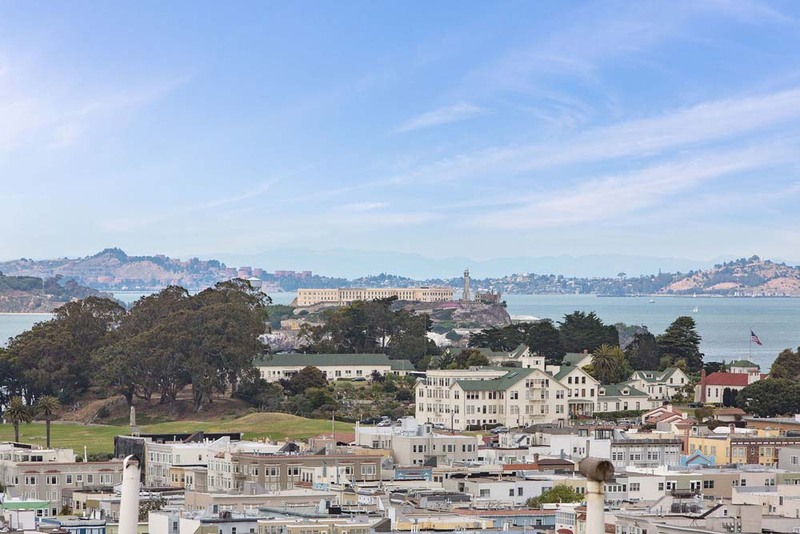 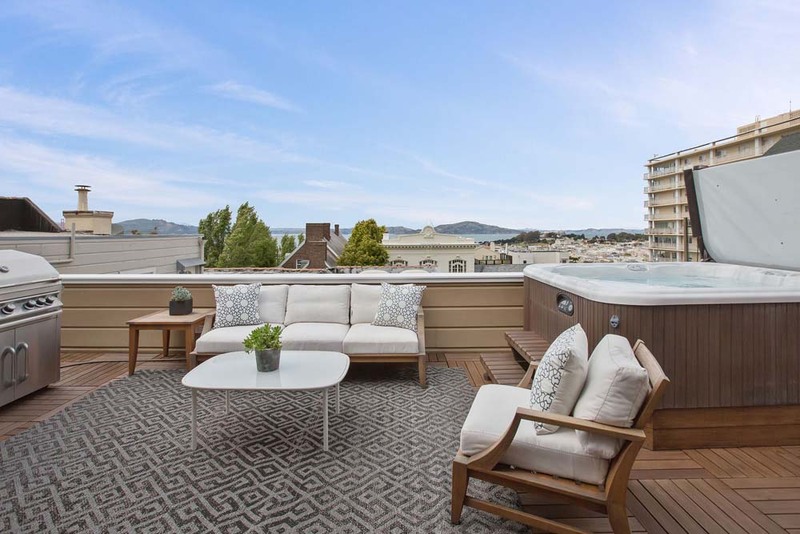 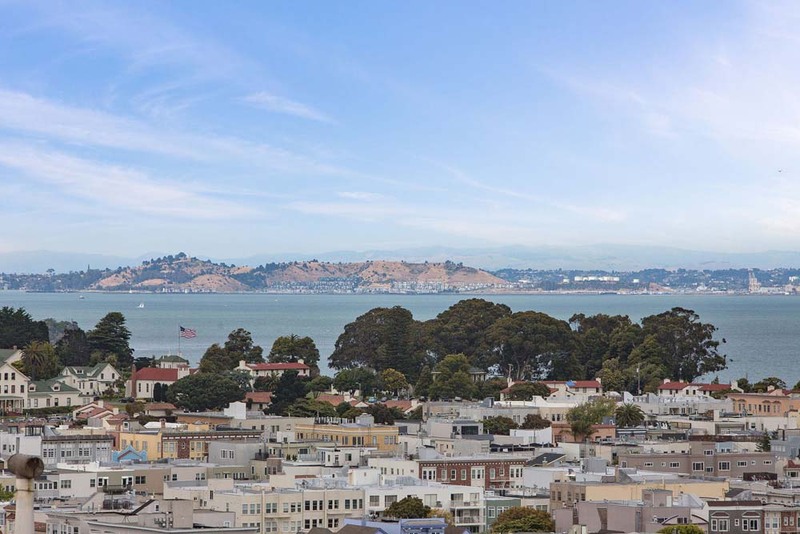 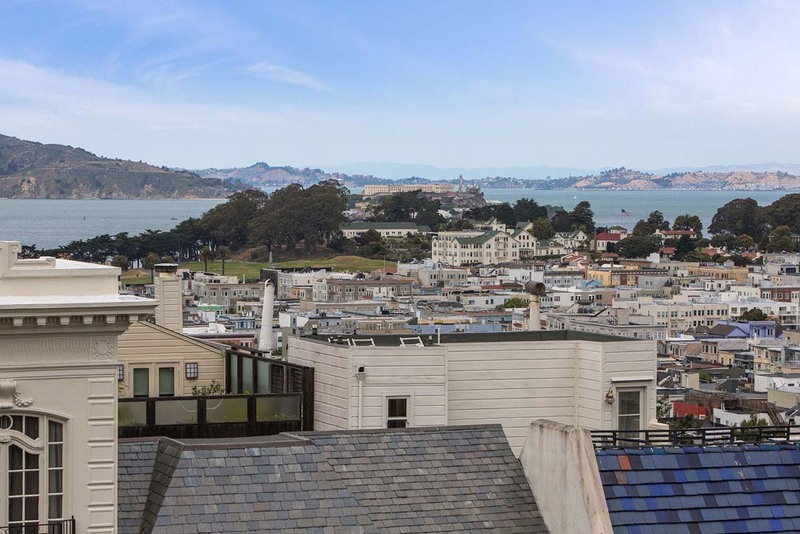 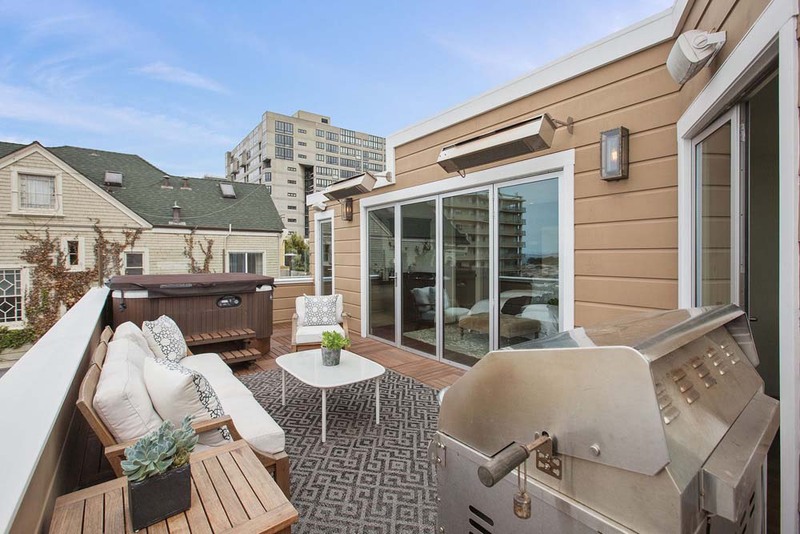 This level is home to an incredible master suite with views of the Golden Gate Bridge and a fourth bedroom can also serve as an office with a wet bar, built-in cabinetry, Murphy bed and an on-suite bath complete with backlit Onyx counter. 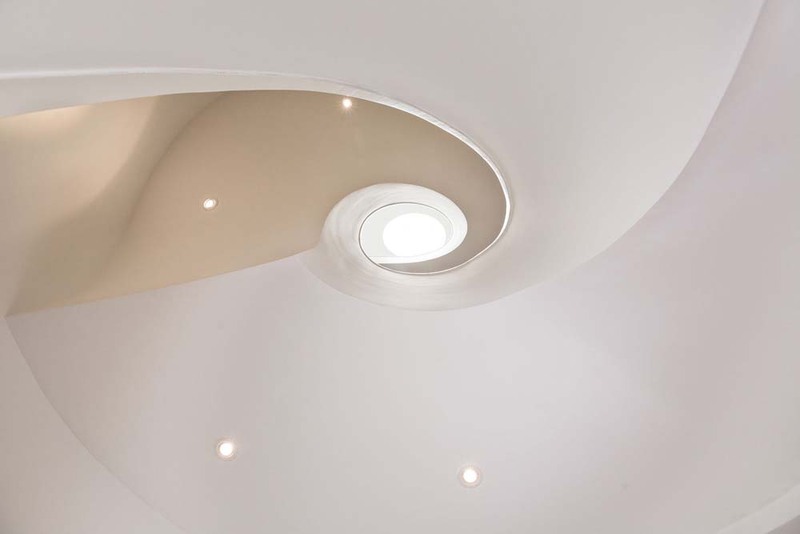 There is a mediation/lounge area leading onto the deck and a skylight above the architectural staircase. 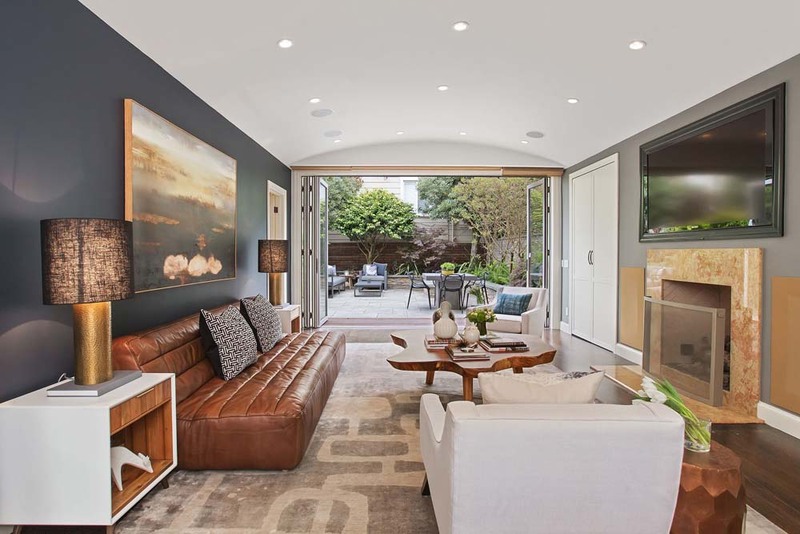 The family room is stunning with its tall coved ceilings, high-end custom cabinetry, and a wall of glass doors that open onto the patio yard complete with gas-plumbed firepit. 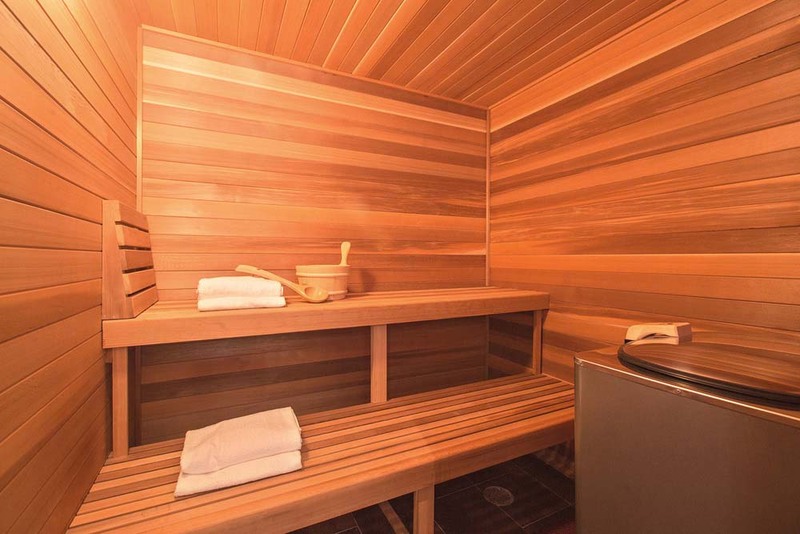 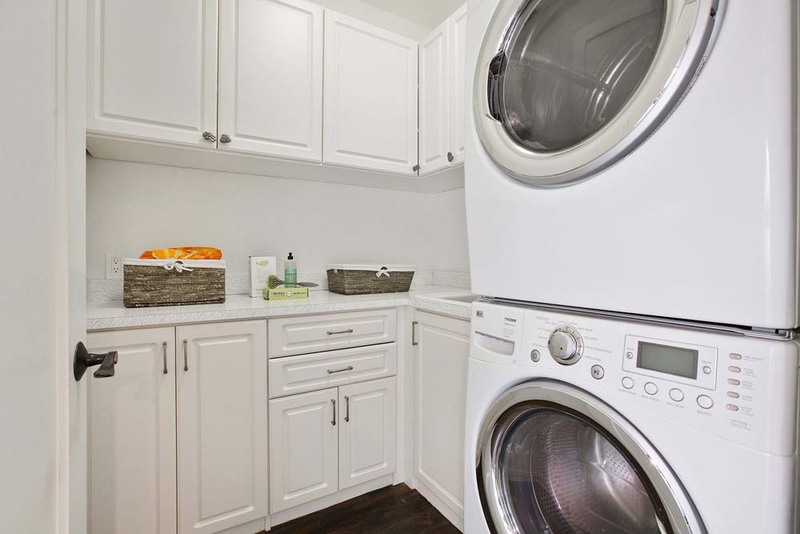 You will also find a sauna, full bathroom and a laundry room on this level. 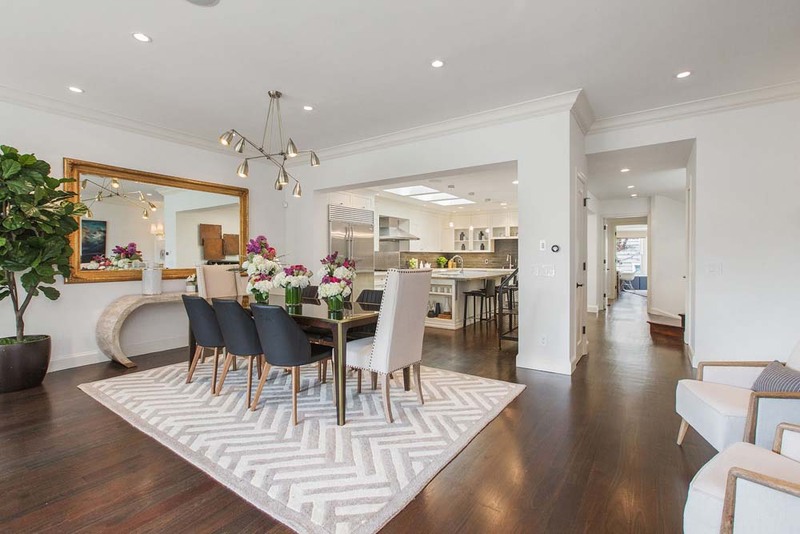 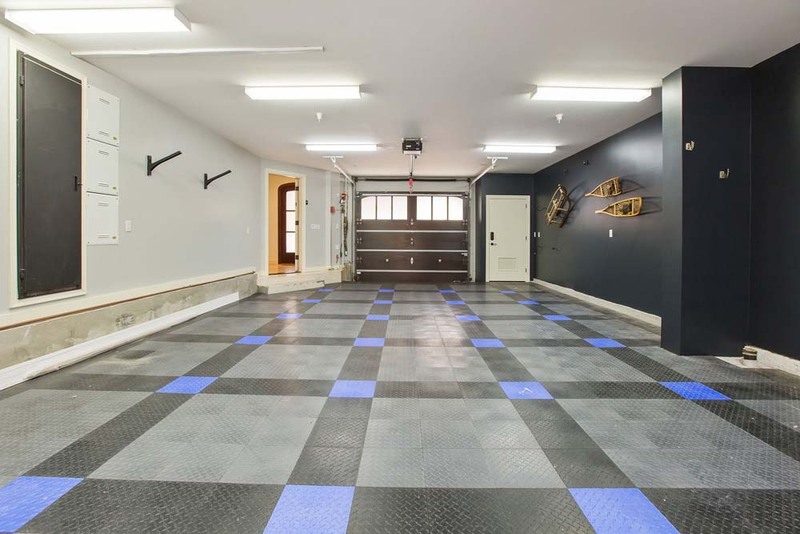 This home is ideally located near some of the city’s best private schools and popular restaurants.